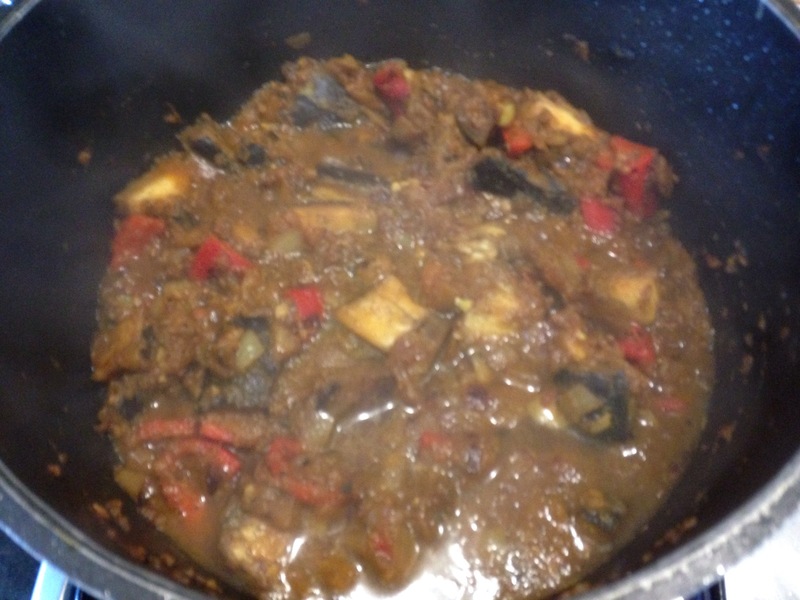 This is a twist on a classic Punjabi dish, Bengan Bhartha. 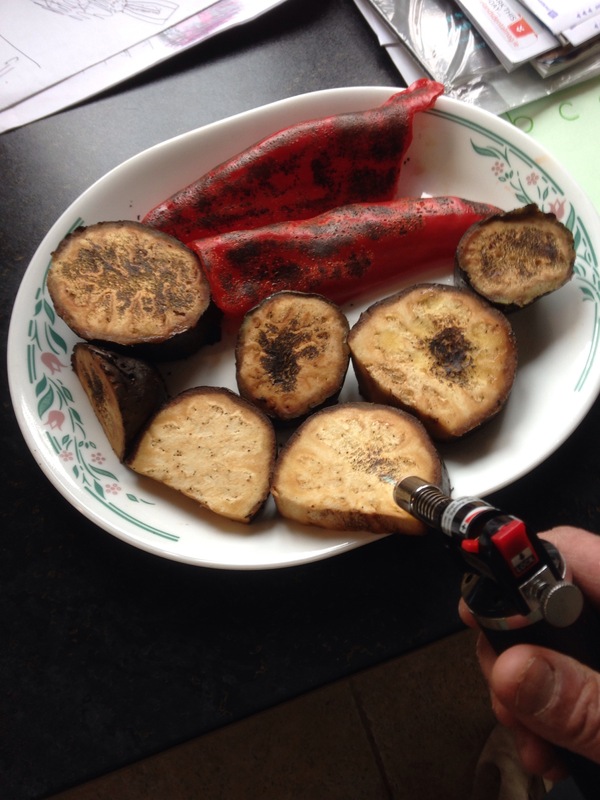 What I did was flamed a whole aubergine and Ramiro pepper with my mini flamer until the skin was charred, this imparts a smokey flavour. Whilst I was doing so, I cooked minced ginger and garlic (2 teaspoons of) in 1 tablespoon of ghee. I added 3 diced onions to this along with 1 teaspoon turmeric and 1 of salt and 2 of Garam masala. 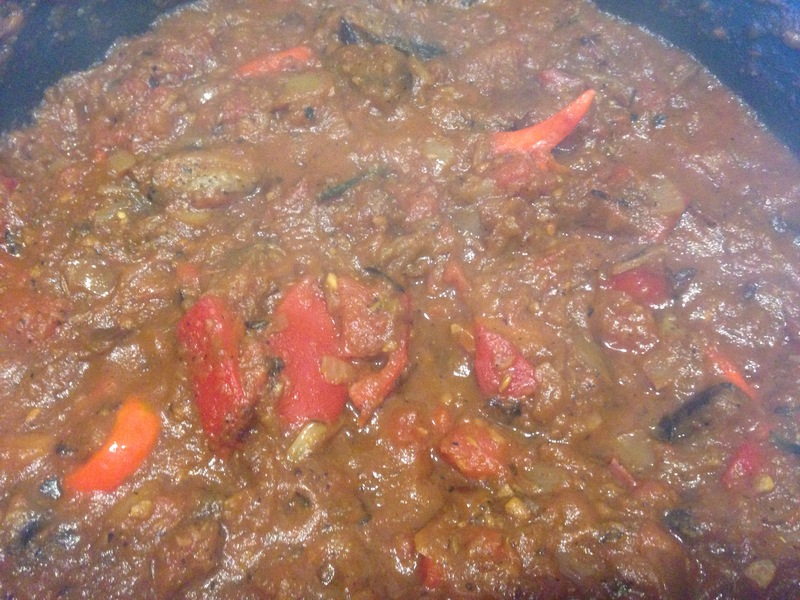 I then added the chopped and diced aubergine and a can of tinned tomatoes and cooked on low heat for 40 minutes. 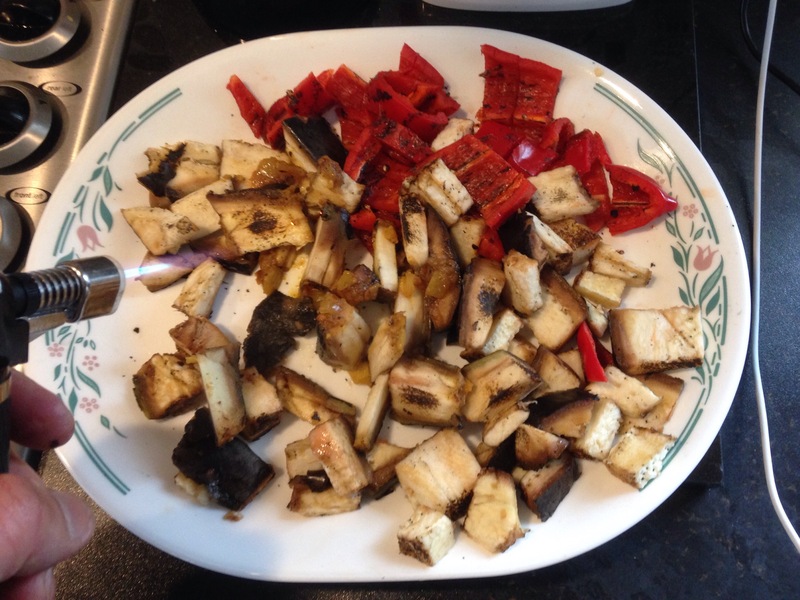 I tasted and adjusted seasoning and added some whole red fresh chillies. Smells, looks and tastes great, want some?!?! I could almost smell them! Des.